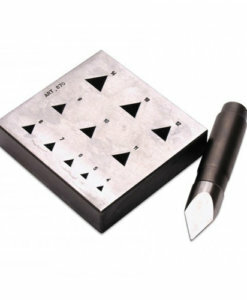 Bezel blocks are a handy tool for making quick and easy bezel settings for faceted stones. 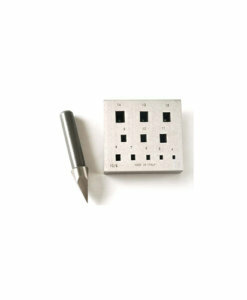 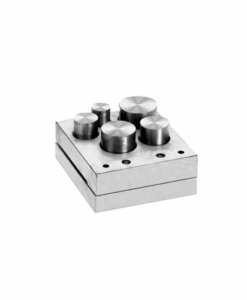 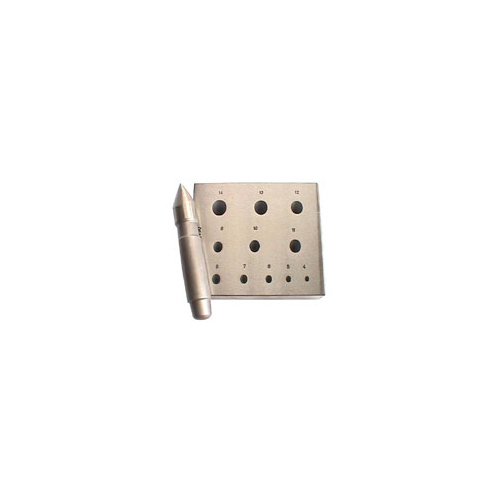 Our Italian-made bezel blocks are made of specially hardened steel and supplied with a matched punch. 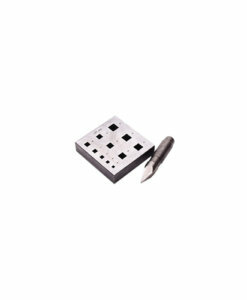 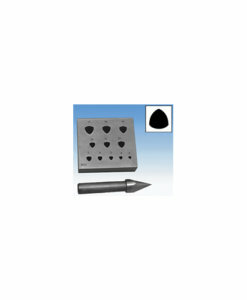 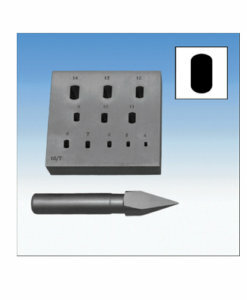 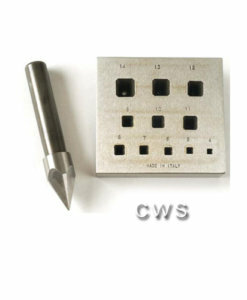 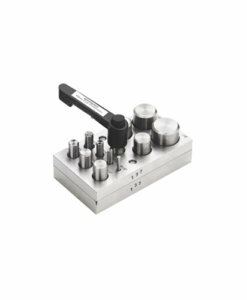 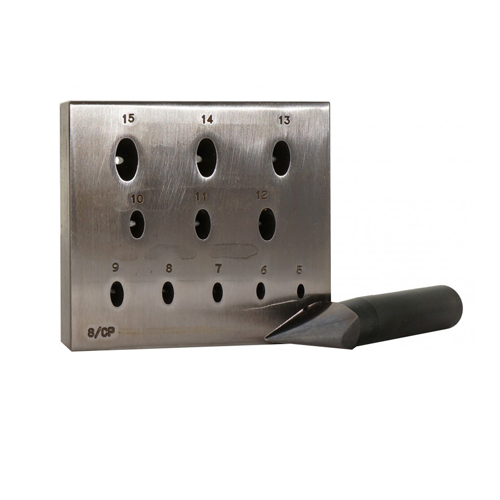 Since punches can break under normal use, replacement punches are available under special order only. 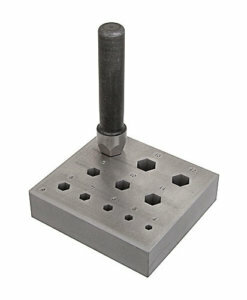 Anneal you metal before punching / hammering so get best flex out of your metal. 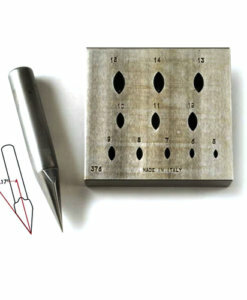 Conical shaped collets fit well into a ring shank.